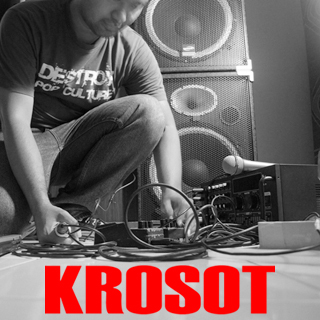 “Destroy Pop Culture” – a recollection of the Malaysia based experimental harsh noise one-man project KROSOT! This conpendium comprise tracks of “The Ten Second Compilation (2009)”, “RONF Records Net Comp Vol 1.1 (2007)”, “Wheel Of Fortune #2 Compilation (2010)” & “In Denth Of Nought 4-way Split (2009)”. Download “Destroy Pop Culture” of KROSOT for free @ Minimism Records!